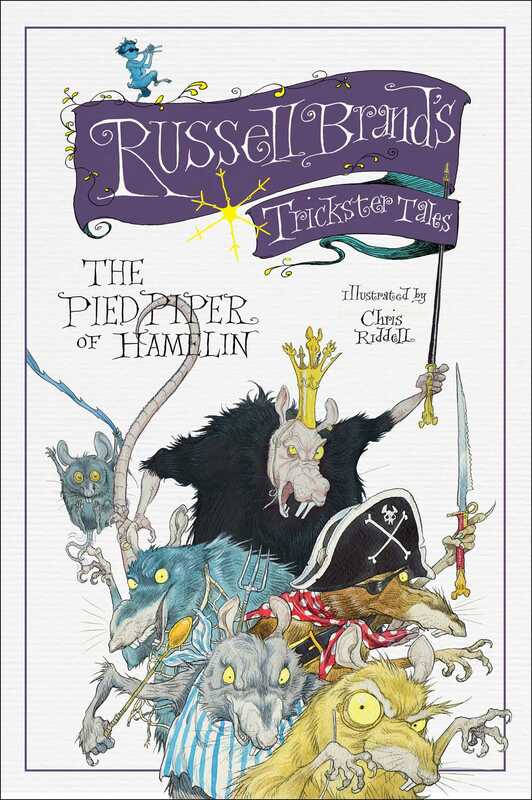 With this first book in Russell Brand’s Trickster Tales series, the famed comedian, actor, and bestselling author delivers a hilarious retelling of an old fairytale favorite that will appeal to adults and children alike. Once upon a time, long ago, in a time that seemed, to those present, exactly like now except their teeth weren’t so clean and more things were wooden, there was a town called Hamelin. The people of Hamelin were a pompous bunch who loved themselves and their town so much that if it were possible they would have spent all day zipped up in a space suit smelling their own farts. But space suits hadn’t been invented yet so they couldn’t. So begins Russell Brand’s wildly funny and surprisingly wise retelling of the classic tale The Pied Piper of Hamelin. Whether you’re a kid or a grown-up kid, you’ll be chuckling the whole way through this zany story that bypasses Brand’s more adult humor for the outrageous, the madcap, and the just plain silly. Maybe you’ve heard about the Pied Piper before, with his strange music and those pompous townspeople and pesky rats. Or maybe you haven’t. But one thing is for sure: you’ve never heard it quite like this.